Want to make free phone calls from your Blackberry? 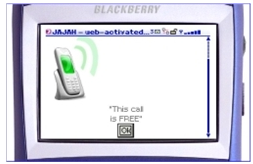 Well, there is now a piece of software called BBCalls (Blackberry Calls) that when used in conjunction with Jajah, grants you your "free phone calling wish". 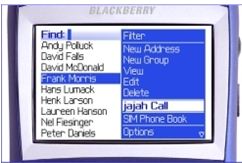 Jajah announced back in June free phone-to-phone calls to almost anywhere. The JAJAH Free Global Calling Plan applies to both landline and mobile phones to many of the most-called places in the world.